The mythological relationship between humans and nature is expressed through expressive pencil drawings and compelling poetry. Artist Clifton Fred began his artistic journey with pencil and paper at just five years old. Beginning as a young artist with human and animal portraiture, he has drawn in this medium throughout his career. The monochromatic style of pencil drawing resonates with Fred because “there is no lying in it.” For him, black and white imagery requires the subject to express an honest emotion, as there is no colour to help engage the viewer. As such Fred’s artwork is inspired by Tlingit mythology, which teaches life lessons through human experience. His pencil drawings typically depict the relationship between humans and the natural world as told in traditional legends. Each of these pencil drawings is accompanied by a handwritten poem to further express his artistic process. Rather than speaking to the subject of the drawing, his poems express his artistic mindset during the creation of each art piece. Fred thereby imparts both a visual and spiritual message onto viewers through his art. Clifton Fred’s artistic relationship with poetry and drawing is one of the defining characteristics of his pencil artistry. 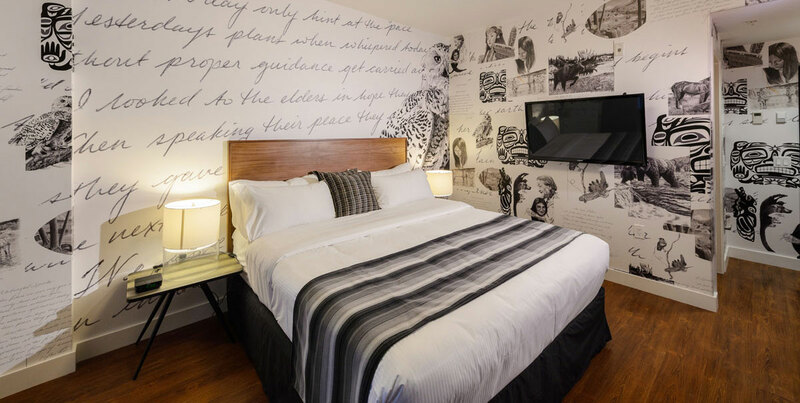 Accompanying each drawing with a handwritten poem invites intimacy between the artwork and the viewer; a unique creative experience the design team at B+H CHIL Design were inspired to recreate in their conception of the Poem Suite. 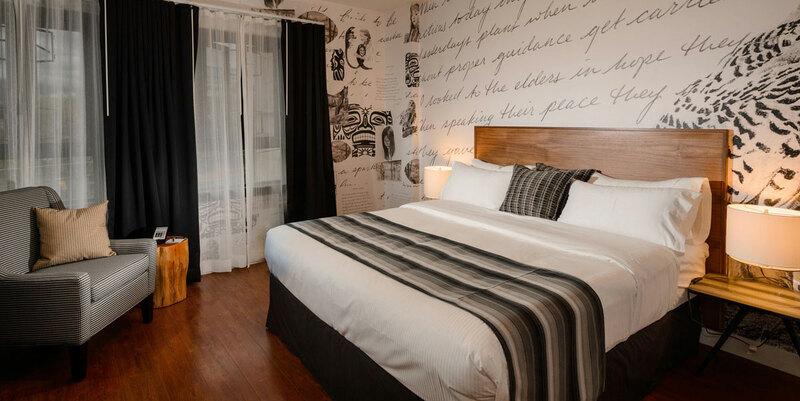 Adorned wall to wall in layers of Fred’s images and poetry, the suite creates a truly immersive guest experience that inspires both contemplation and relaxation. 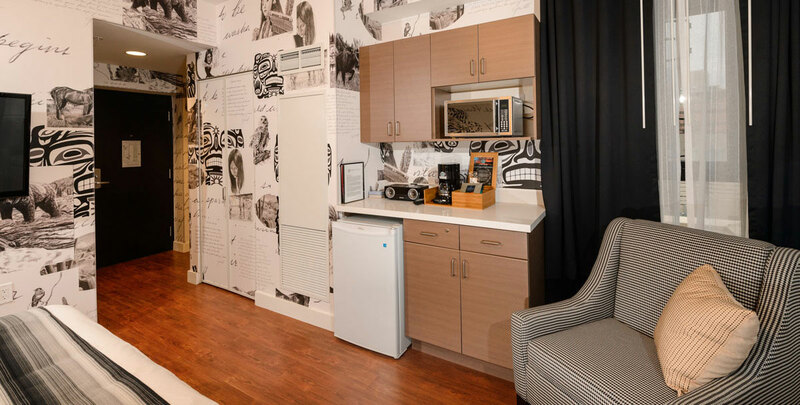 Using neutral design accents, B+H CHIL Design allows Fred’s artwork to become the focus of the suite.